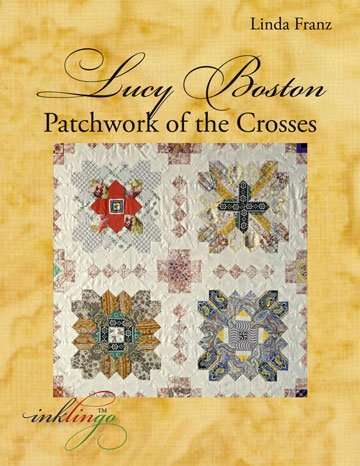 The video is about Lucy Boston Patchwork of the Crosses. <whew> We covered a lot! 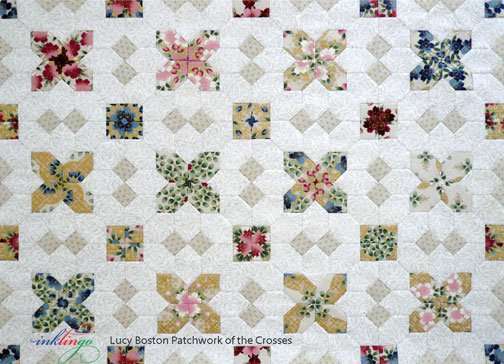 I showed Mary’s POTC quilt and gave info about the Quilt Show in Whitewater Wisconsin. but that was lost when I cut the no-audio section. 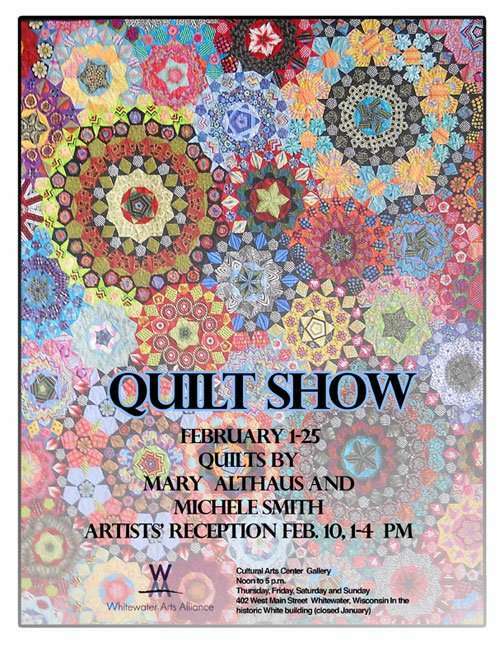 If you can get to Whitewater by February 25, you can see about 20 of Mary’s amazing quilts, and if you are lucky, you will meet Mary too. 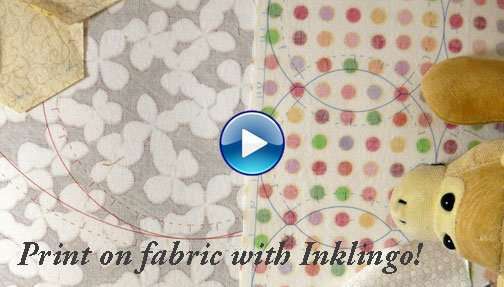 Many of the quilts on display were made with Inklingo. Mary has been using Inklingo since 2006. 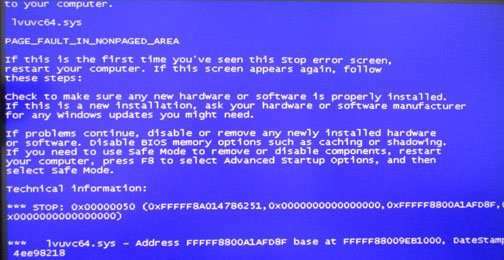 The Dreaded Blue Screen gives me the shivers! During my rehearsals with the new equipment, I got the blue screen MANY times. Through trial and error, I learned that I had to attach the cameras and open each piece of software in a particular sequence to avoid crashing the computer. Unwittingly, I did my sound test as soon as the mike was plugged in but I added more equipment afterwards and that seems to have muted the audio. If it’s not one thing, it’s another. I can avoid that mistake next time . . . but Monkey says, I’m sure to think of a new boo-boo. Please tell your friends about the video because they probably did not get an email. I learned a lot doing this latest LIVE video. The new equipment is definitely better and the software is easier for a non-geek to manage. 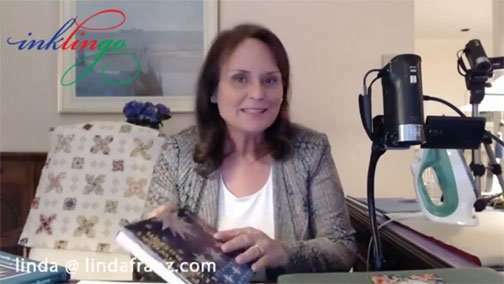 I am looking forward to doing more of these LIVE videos. If you want to know when, it is a good idea to check the Inklingo Facebook Page frequently. 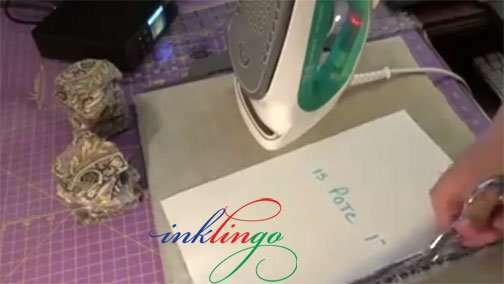 Please remember that you cannot count on Facebook to show you anything from Inklingo anymore, even when you have liked the page. They made big changes in January to try to make me to pay to add my posts to your feed. Since these are FREE videos, I would rather not have to pay. I hope you will share info about Inklingo with your friends. If you do, this short video is a good intro. Thank you to everyone who has been watching live while I learn how to do all of this. See you later?